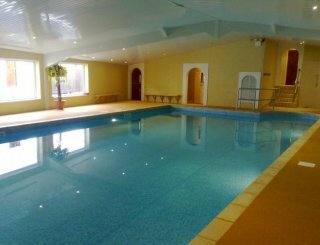 Wild Luxury on the North Norfolk Coast, Hunstanton, Norfolk, sleeps 6-48 in 24 bedrooms. 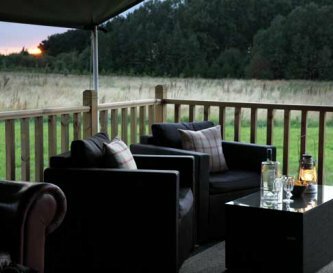 Our award-winning luxury canvas safari lodges provide total comfort at 2 private camps 3 miles apart on the North Norfolk coast with easy access to great beaches. 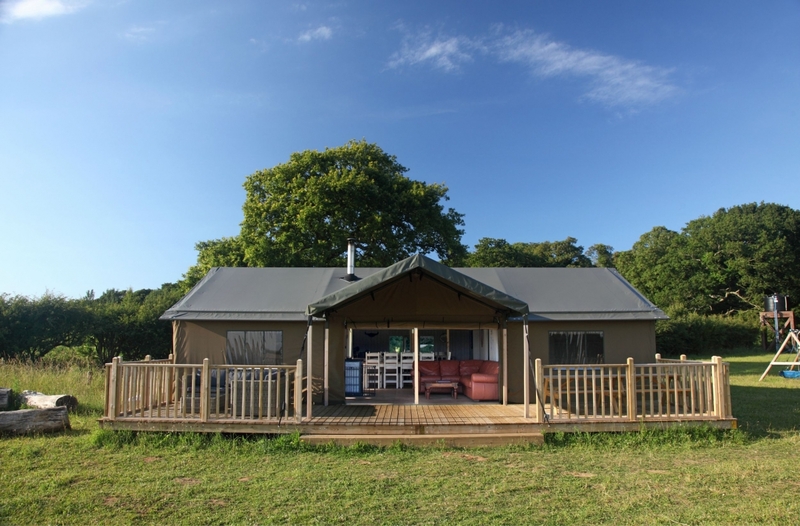 Serengeti luxury lodges offer 600 square feet of top quality safari style accommodation Our 2 larger Zambezi (club lodges) at The Hideaway make brilliant group HQs and sleep 6 adults or families of up to 10. 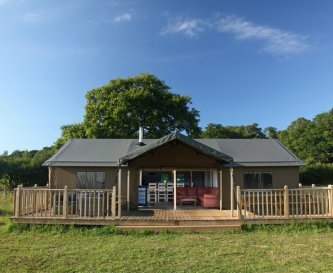 Lodges are well-spaced and we arrange adjacent accommodation for group bookings. 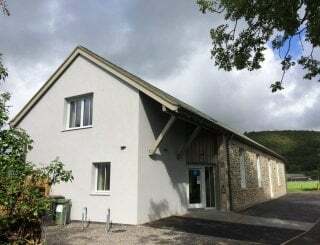 We welcome families during the summer holidays and groups of friends at non-peak times combining great fun with the great outdoors in total comfort. 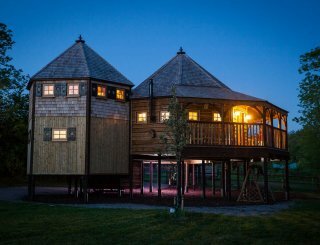 All lodges are warm and cosy with master as well as twin or bunk bedrooms and also our very popular sleeping cupboard with ample room for 2 (or more!). 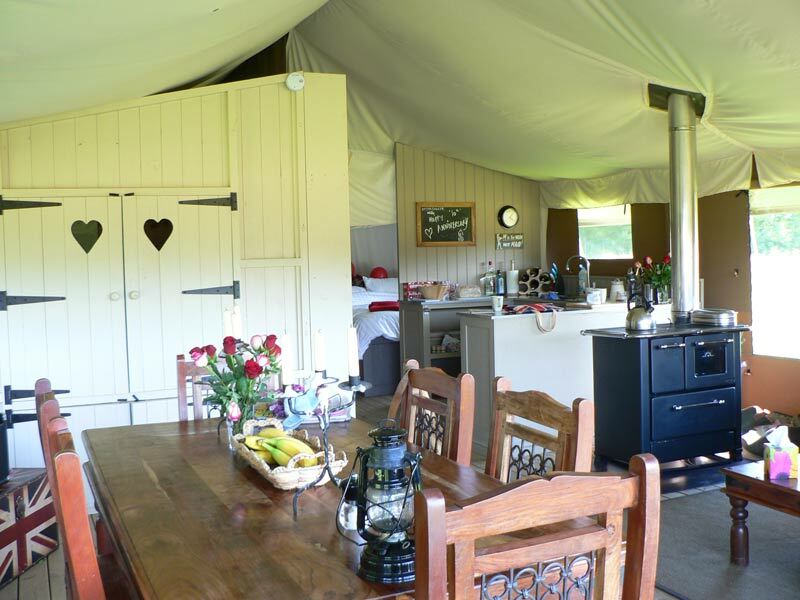 Each also has a dining/living area, sun deck and your own flushing loo and hot shower within the lodge. 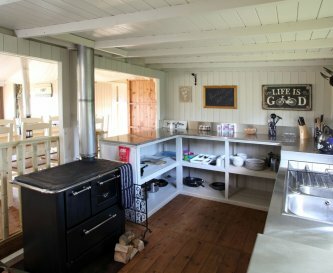 Kitchens are fitted with a wood-burning range cooker (which also provide heating), cool-box, kitchen sink, dresser and a gas stove. 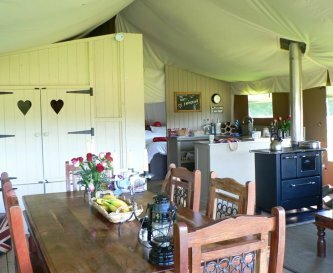 Everything you will need for your stay down to cutlery and utensils, rechargeable lighting and an initial supply of candles is provided. This is sleeping in the wild with a real difference. 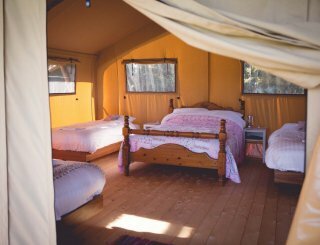 Designed to ensure that you get a really cosy night’s sleep whatever the weather, bedrooms have real beds and mattresses on solid wood floors and are divided into individual areas for privacy and comfort. Washing and lavatory cabins are tucked away within the rear of the lodge to ensure that you get a little bit of privacy. 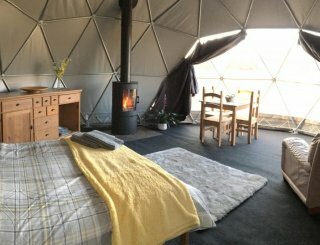 In the summer months we also operate a Wild Camp that sleeps 12 and goes to places where normal camping would never be permitted - the ultimate crowd pleaser. 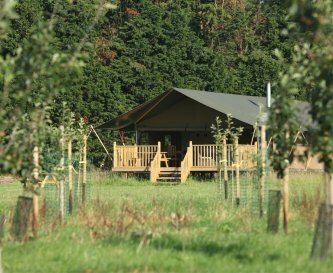 The accommodation is a combination of a beautiful star canopy, RV support unit with a fitted kitchen, shower-tower and sleeping/chill bell tents. Please note: Wild Luxury does not host stag parties, music parties or groups where the guests are predominantly under 25. 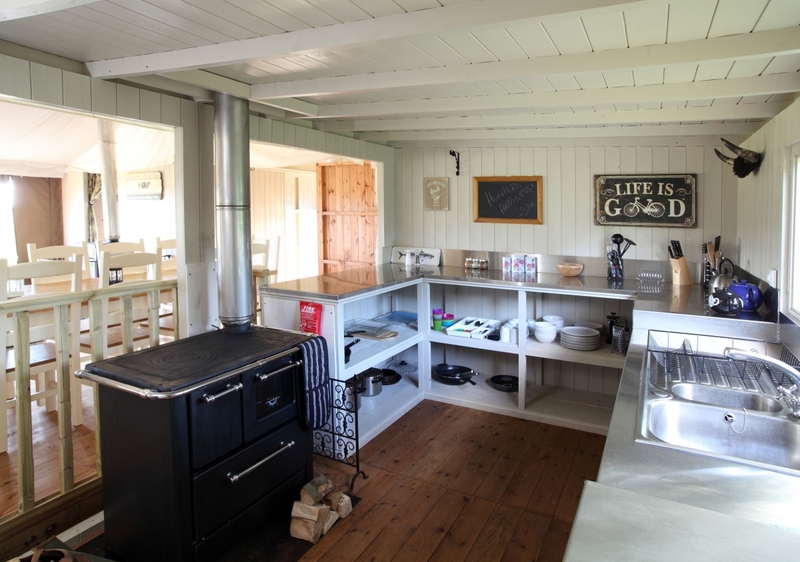 Fully fitted and equipped kitchens with cooking on woodfired stoves with ovens. 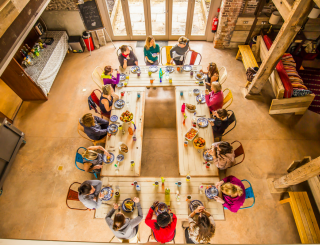 Lodges can seat up to 8 for dinner. Zambezi lodges can seat 12. Seated alfresco dining capacity is unlimited. Living areas contain leather sofa seating for between 4-10. No amplified music after 10pm when other guests with families are on site. Some sites have 3G capability on certain networks. Wood burners in all lodges. Bedrooms consist of Master bedroom, Double canopy bed and twin or bunk rooms. Ordered as part of a group pack. Power showers and flushing loos within every lodge. There are no specific facilities for the disabled. High chairs available. Cots can be hired if required. 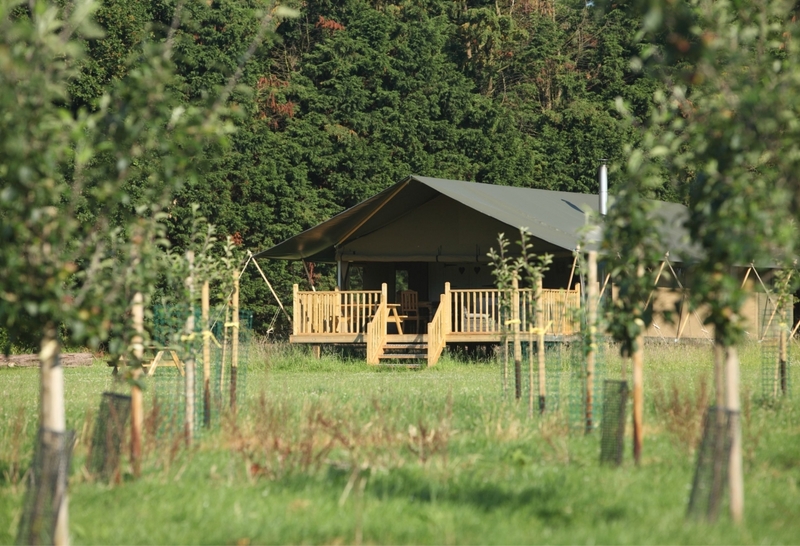 Woodlands, huge skies, beaches, play areas, each camp is set in around 5 acres. Close to all camp sites. Not permitted in lodges or canvas accommodation. Are permitted at the Hideaway (except August). 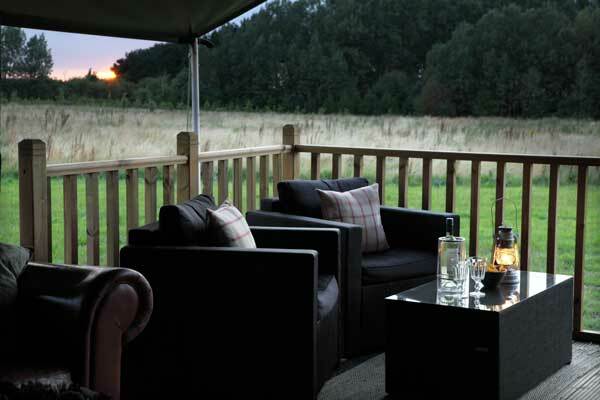 Our camps are located close to the North Norfolk Coast either within walking or a short drive to lovely local beaches. 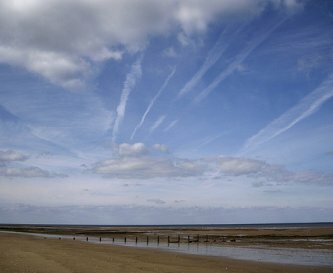 Nearest towns include Hunstanton, Thornham, Brancaster, Burnham Market, Sandringham and King's Lynn. 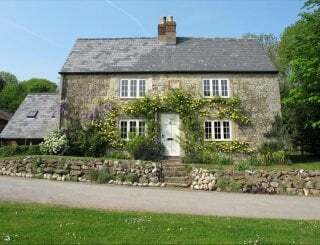 Some of our sites have farm shops within walking distance or a short drive. 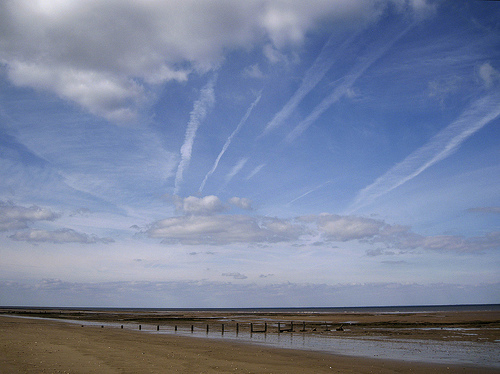 Thornham has two eateries within a few minutes walk and 3 award winning pubs within 15 minutes walk. 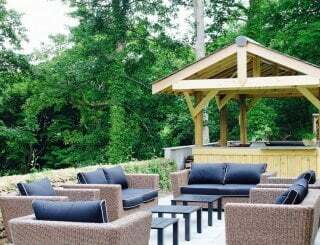 Please contact us for pricing of individual lodges. Kings Lynn. Coast Hopper bus service runs every 30 minutes during the summer period from the rail station. Coasthopper runs every 30 minutes a hop-on hop-off service.